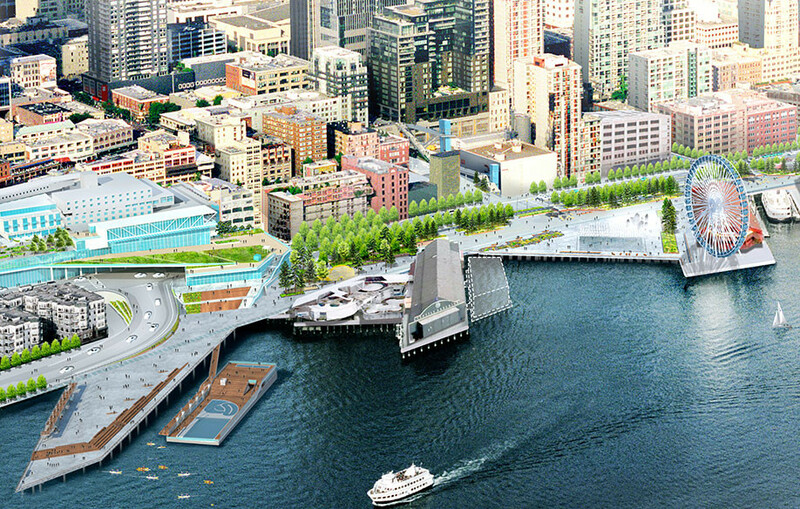 The City of Seattle’s Central Waterfront Project represents one of the most significant civic projects in Seattle’s history. 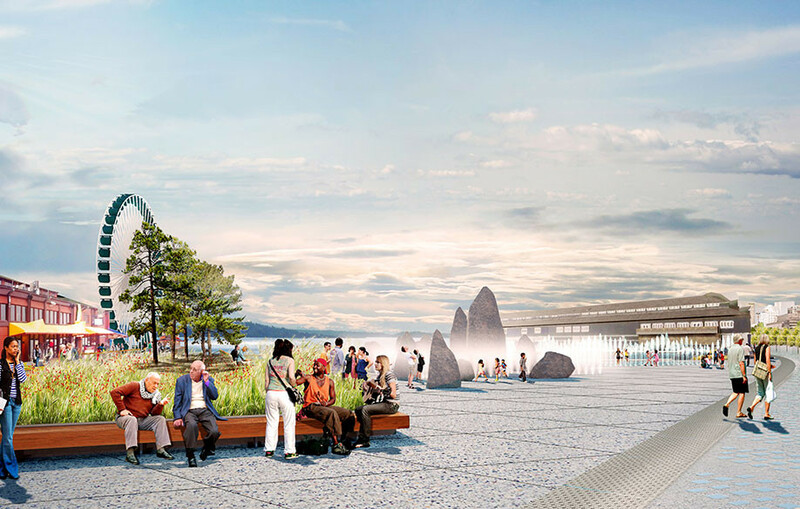 The 26-block long project area includes a diverse range of waterside and upland parcels under public and private ownership and will incorporate high profile public open space as well as transportation and infrastructure projects. The project involves the management and coordination of the full range of design, engineering, environmental, and public outreach disciplines to deliver an integrated overall design for all project elements. The transformation of Seattle’s waterfront builds on 10 years of public planning and is made possible by the pending removal of the failing Alaskan Way Viaduct and replacement of the deteriorating Elliott Bay Seawall to meet current seismic standards, protect critical infrastructure and enhance the habitat through this area. 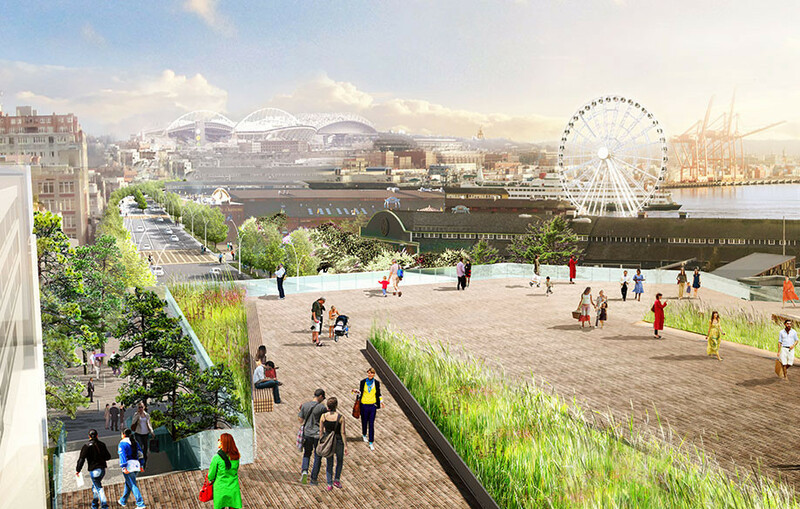 These projects open up new public space, from the Olympic Sculpture Park to Pioneer Square, for parks and paths, access to the water, places to enjoy views, vibrant public and cultural spaces, and a new urban street that will accommodate all modes of travel and provide an important connection with the City’s transportation system.